There are lots of sites that are blocked by Govt. or not available in your country. But still, if you want to surf then Proxies and VPN are the best options. Like if you want to surf some blocked sites, download torrents or access some blocked streaming sites. Then VPN is the best options. Other reasons that people use VPN are many cyber crimes are happing so while you are surfing the internet, security is the most important thing you need to take care. Peoples are using Internet protection by antivirus, VPN. 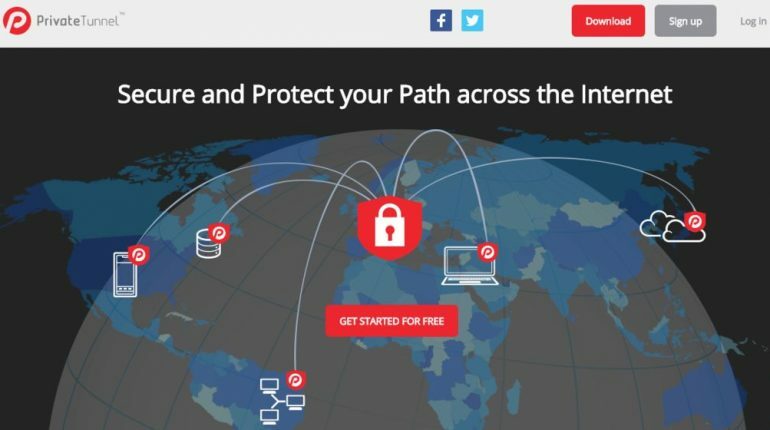 VPN puts an extra layer of safety while you were surfing the internet. It creates a solo environment for you to access the site without letting anyone know. VPN also helps you to cross boundaries or restrictions imposed by authorities and allowing you to access content from anywhere in the world. 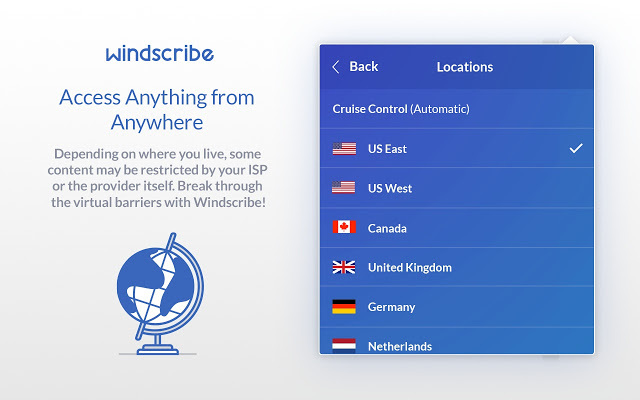 Now out there are many VPN available, you can even found VPN for Android and iOS too. 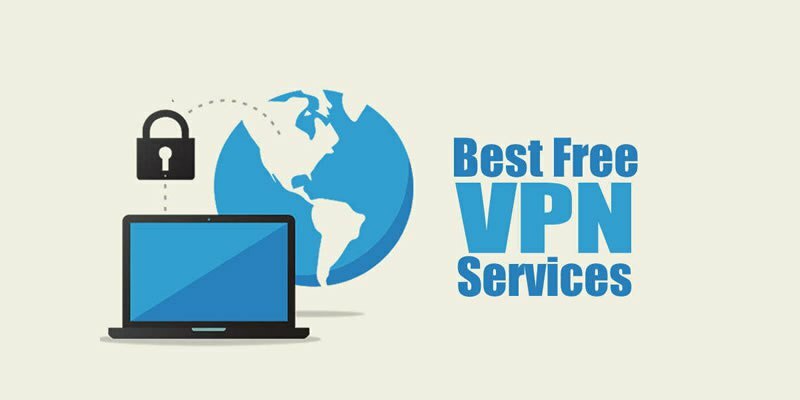 Here we made the list of the best free VPN for you. Also You can check our Fastest VPN list. Is there any Free VPN For Torrenting? As we told you that VPN helps you to access the blocked sites, but let me make very clear you can not use VPN for torrenting. All the VPN we tried either does not give access to torrenting or block it after some time. So, its waste of time to search for free VPN for torrenting. There is no completely free VPN available for torrenting sites. If you still want to do use VPN for downloading torrent then go fo the purchase plan of VPNs. 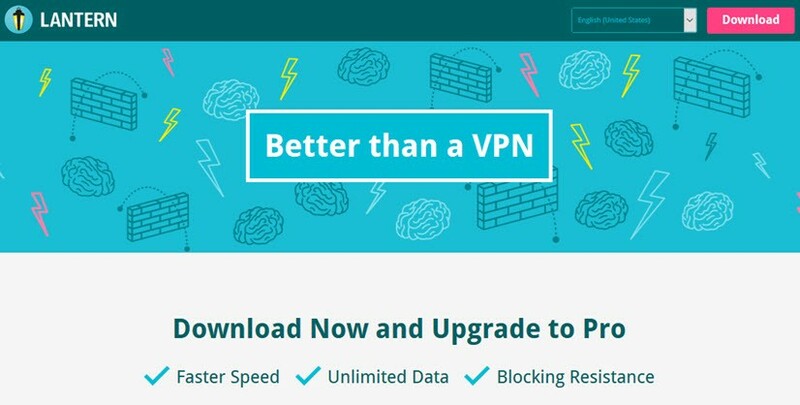 These are some premium VPN that allows torrent. It’s a Free VPN with limitations; Torrenting is not free for full access you need to buy Premium. 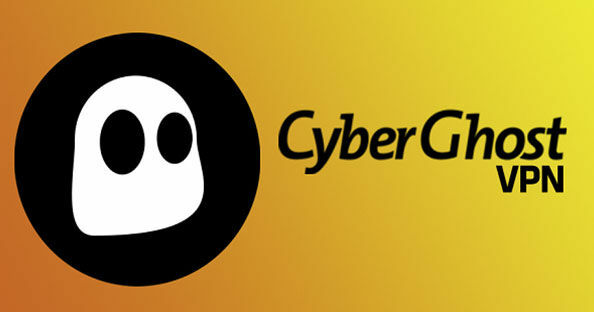 The CyberGhost is one of the most used free VPN services all over the world. The company has servers in the UK, the USA, and European countries also. The company also have Premium service. The free service offers access to 14 countries, and the Premium and Premium Plus ones allow users to choose from 24 countries. CyberGhost doesn’t have the bandwidth, and there is no download cap also. You can download and surf as much you want. But there is one limit, and that is you every time you log in it will automatically disconnect after 6 hours. If you are a user of the iPad or Apple laptop, then you won’t be able to use the free service of the CyberGhost. To use CyberGhost on an iOS device, you’ll need to have a premium account. 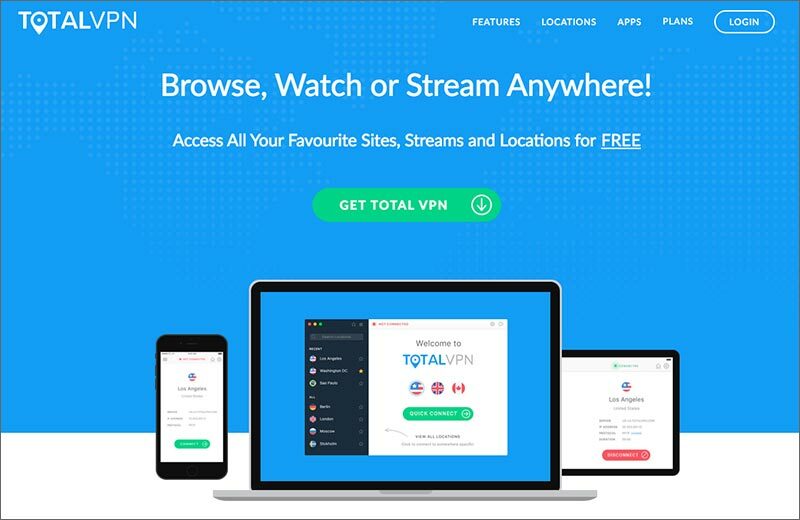 Total VPN is another traditional VPN on all over the web. This VPN runs on the desktop as well mobile also. The entire VPN also have a huge list for the server, if you didn’t like the speed from one server disconnect that and try another one. Like CyberGhost, Total VPN doesn’t have any download cap or bandwidth limit. They don’t have too many servers, but the speed they are offering is the best and unbeatable also. Tunnel Bear and CyberGhost is the best free VPN although Tunnel Bear collect some of the core info of the user but never keep the log files of that. Tunnel Bear uses the 128-bit encryption to encrypt the user data. Tunnel Bar also has free and paid services for their users. The difference between paid and free is, it offers 500MB-1GB per month free, but for paid there is no limit. Tunnel Bear has servers in US, UK, Canada, Germany, France, and Japan but you can not choose their server in the free plan. If you have the paid plan, then only you have the liberty to choose the server. No doubt Hotspot Shield is the most popular free VPN to access the fast internet. 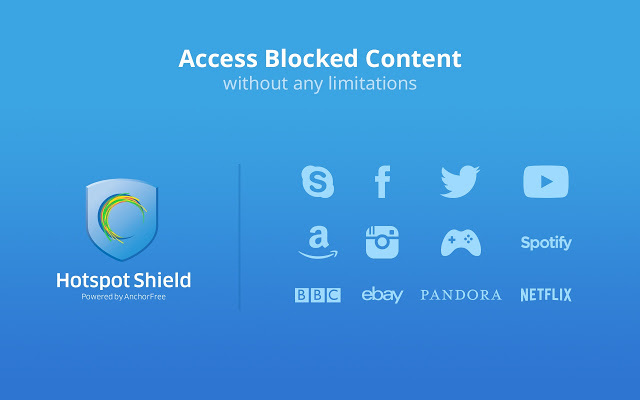 But there are also some restrictions with the free version of the Hotspot Shield. The company has the server in USA, UK, and Japan but you can only connect to the USA server in the free version. There are some sites banned in the USA like Hulu, so if you are using free plan, then you won’t be able to access them. Like other, there is no download limit and bandwidth also. The company keeps the information you provides and log files also but company using the high encryption to secure your data. 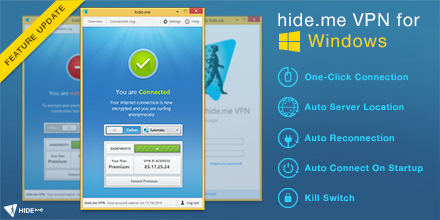 Hide Me is the VPN provider from the Malaysia and free also. The company has 28 servers in 22 countries, so the user has the liberty to choose the server to connect. The company does keep the log files and information you submit. The company also have the paid version of it’s VPN services. The best part is company also accept the Bitcoin as their payment. Unlike other, there is also a limit of 2 GB of per month. Lantern is the new in the VPN market, but it is getting popularity in China just because it’s not a VPN. It is the proxy site which works in the background and does it’s magic when it detect the site is banned. In other VPN if you are connected to a server and site is prohibited then you have to connect again to another Server, but Lantern works in the live session. It automatically switches the server and provides you the site which is blocked. Lantern App is available for Windows, Mac OSX, Android, and Debian/Ubuntu Linux. So, whatever Operating system are you using doesn’t matter. The private tunnel doesn’t offer the free service to others. There is a limit of 100 MB of the free usage, but after that, you have to choose the plan as per your requirements. The charging of this VPN service is entirely based on the data you used and pricing also varies according to that. Currently, their server is in USA, Canada, UK, Netherland or Switzerland. There are limited servers compared to other VPN services, but the speed of the servers is the nice. Free things are great, but not all are. Each and every VPN is better to another one in some aspect. If you’re encountering any problems, the above VPN then the better option is to try another. If you have any other free VPN which you think it must be on this list then feel free to share with us. Try them out and let us know which one works well for you.